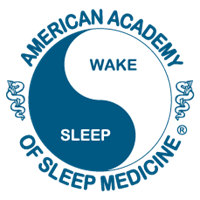 The American Academy of Sleep Medicine is a professional membership society that is the leader in setting standards and promoting excellence in sleep medicine health care, education and research (www.aasmnet.org) The AASM considers sleep disorders an illness that has reached epidemic proportions. 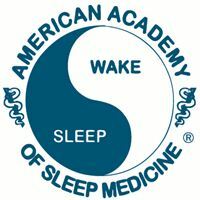 Board certified sleep medicine physicians in an AASM accredited sleep center can provide effective treatment. AASM encourages patients to talk to their doctors about sleep problems or visit www.sleepeducation.com for a searchable directory of sleep centers. Healthy sleep is a necessity for physical, mental and emotional well-being. This new research emphasizes that we can make an investment in our health by prioritizing sleep. The FDA safety announcement is a reminder that all medications may cause some side effects, and sleeping pills are no exception. It is critical that patients who take sleeping pills receive ongoing treatment supervision from a physician, who should always try to employ the lowest effective dose and taper the medi­cation when conditions allow. Never take a sleeping pill without first getting approval from your doctor. Drowsy driving is a serious risk to personal health and public safety, and snoring is an important warning sign that should not be ignored. Loud and frequent snoring is a common symptom of obstructive sleep apnea, a sleep illness that often causes excessive daytime sleepiness. Anyone with an ongoing sleep problem should seek help from a board certified sleep medicine physician and the team of medical professionals at an AASM accredited sleep disorders center. Far too many people accept sleep deprivation and sleepiness as a way of life. They see treatment of sleep illnesses as optional, like elective surgery. If you’re having sleep problems, you don’t need to live this way. And ultimately, some patients can’t live this way. Anyone who is having trouble sleeping, or whose bed partner’s breathing is interrupted during sleep, should not wait to talk to a physician. Press releases, press credentials available in advance for SLEEP 2014DARIEN, IL – Sleep clinicians and scientists from around the world will discuss current practices in sleep medicine and the latest findings in sleep research at SLEEP 2014, the 28th Annual Meeting of the Associated Professional Sleep Societies LLC (APSS), which will be held June 1-4 at the Minneapolis Convention Center. This year’s program (available at www.sleepmeeting.org) includes symposia, clinical workshops and discussion groups on topics ranging from neuroscience and genetics to dreams, sleep deprivation and aging.